based on a text you have studied. The image to the right is a famous painting Guernica which shows the tragedies of war and the suffering it inflicts upon individuals, particularly innocent civilians. This work has gained a monumental status, becoming a perpetual reminder of the tragedies of war, an anti-war symbol, and an embodiment of peace. Is There Some Examples I Can Look At? In this movie poster, the designer has hidden lots of hearts...can you see them? Study fonts and decide which lettering will best link to the message you want to get across to the audience. Thinking of symbols from the story or connected to the ideas. 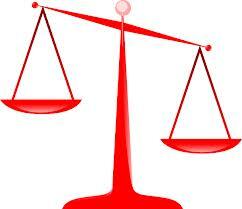 So the idea of Justice is represented by the scales and the idea of the law would be the outline of a policeman etc. It is best not to try drawing exact faces but go for silhouettes so that they can be interpreted as being anyone. There is lots of black and white in this story. The black represents night time but also represents the dark events. The light is the headlights and the flashlight that the boy gets from the car. There is also starlight which appears closer to Santin as he becomes aware that he is dying. Blue and red are also relevant colours because they symbolise the flashing lights of a police car. This refers to the lines of the poster. 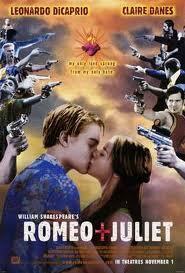 In the Romeo and Juliet example above, the 'lines' are invisible but created by the shapes within the picture. If you drew them on, you would make hearts. The mood of this piece changes. Sometimes it is blue for despair and other times it might be red for anger. You might choose to use black to show the evil nature of the murders or you could use yellow to symbolise the hope that appears and disappears throughout the story. What does 'direct replica' mean? If we made a poster of a car crash, then we would fail because this is a scene that is in the story. I will use the white lines on the road to symbolise the decisions the young couple made. Their actions inside the car meant that they literally 'went over the line' and onto the other side of the road. Then they 'went over the line' again when they chose not to help the man and finally they 'went over the line' when they chose to murder him. I want to use the symbol of justice because I hope that after the story ends, the man who died will get justice and that the bad teenagers will get the punishment that they deserve. I want to use the sign of the policeman saying STOP to get the message across to people who have choices that they should stop, think and do the right thing. Or I could use the skeleton to symbolise the way the teenager lovers are not serious about death. I could choose red and blue as colours to use....This would symbolise the red and blue flashing lights of a police car and the red would be the anger of the dying man and the blue would be the sadness of his death. This blue image I have chosen shows the stars that the man might have seen as he died. 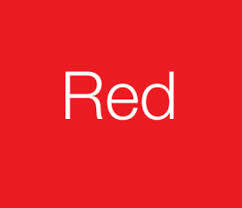 Because I have chosen red, I might search for a justice symbol in red. If I use the smart cop quote, then I will use the smart cop silhoutte that I found. If I use the terrifying face quote, then I will need to find an image of a terrifying face. I like the last quote best because this could apply to anyone. I might need to add an image of a finger pointing as a symbol of blame. There must have been something terrifying in his face. He prayed for a smart cop. 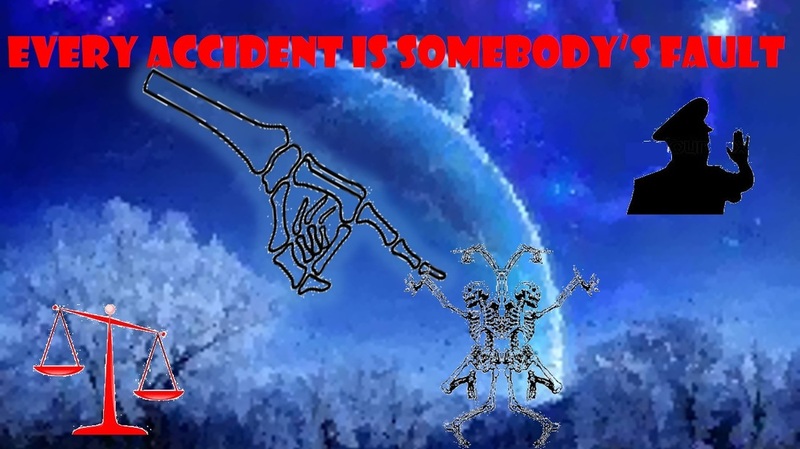 Every accident is somebody's fault. I might use one of these fonts....the gothic type font to link in the idea of death. 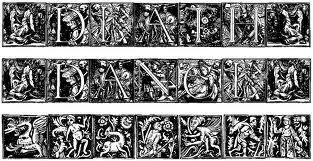 The dancing font, I could use if I was using images of silhouettes 'dancing with danger' but I like the messy type of writing because it is like the scene in the story. The story blurs the boundaries between what is right and what is wrong.